LEITER PEREZ & ASSOCIATES, INC. The surveying group has prepared land surveys of all types, including route surveys, boundary surveys, mean high water, coastal construction line, topographic surveys, construction layout, lot surveys and FEMA flood elevation certifications. 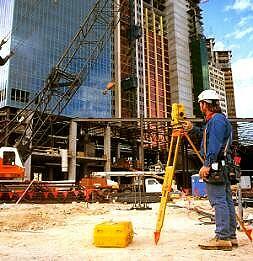 The surveyors are equipped with modern state-of-the-art technology. Field crews use total station and GPS equipment with data collectors and electronic distance measuring, with data collectors being capable of transmitting data wirelessly into office computers. Office personnel have computers and plotters using the latest in CAD software to produce plats, survey drawings, engineering drawings, and contract documents. Legal descriptions and easements are routinely prepared by office personnel for public and private clients. The firm has prepared condominium documents for major developers in South Florida. Copyright © 2009 Leiter Perez & Associates, Inc. All Rights Reserved.